Becca Little opened Healing Touch Soft Tissue Therapy after embarking on her own amazing journey of transformation and healing. Becca first discovered the profound benefits of therapeutic massage when her physician prescribed it after she suffered an injury while providing nursing care. She was amazed at how effectively it addressed her pain and restored her sense of peace. Massage soon became her favorite nursing intervention. When massage (soft tissue therapy) became a nursing specialty in 1997, Becca returned to school to receive specialized training in Clinical Sports Massage and graduated from the Atlanta School of Massage Therapy (AL #586). She opened Healing Touch in January 1998. 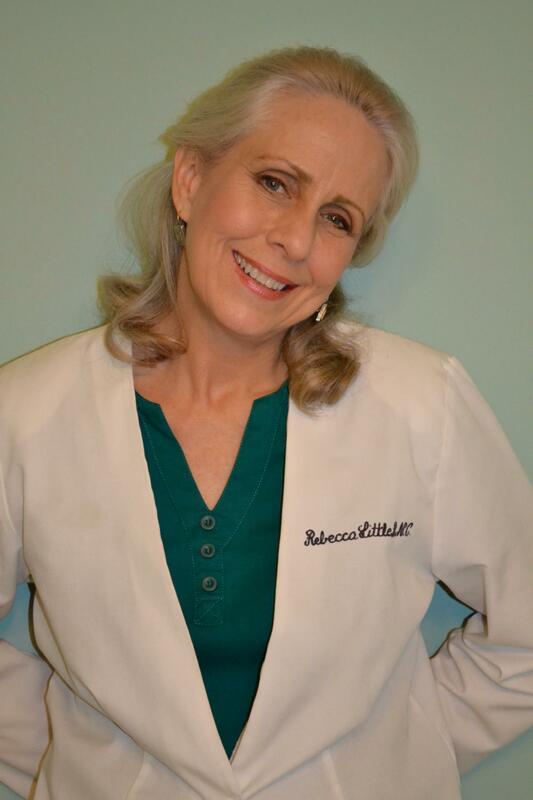 Although Becca maintains her RN license, owning her business allows her to do what she always longed to do in nursing...to give her clients extended uninterrupted one-on-one attention. Becca's training includes Neuromuscular Therapy, Myofascial Release, CranioSacral Therapy and Ortho-Bionomy. In her spare time Becca serves on the Board of Directors at the Auburn Public Library and enjoys hiking, quilting and writing. She is available Tuesday through Friday 10-6pm. © Copyright 2019 Healing Touch Soft Tissue Therapy. All rights reserved.